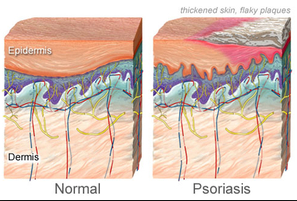 This photo shows Psoriasis in a model of the skin. 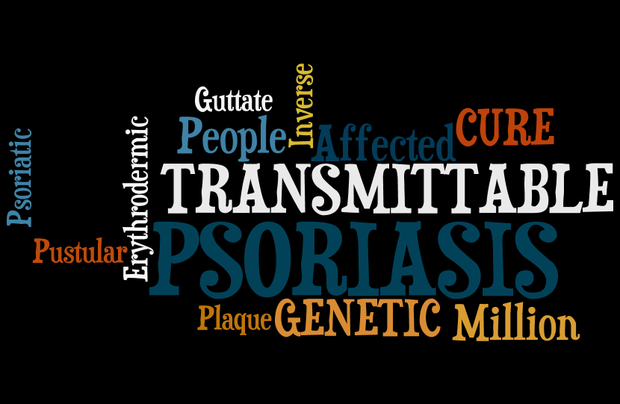 Psoriasis is a genetic disease that can skip generations. Stress is the main cause of major flare ups as well. Psoriasis is the result of skin cells multiplying faster than normal (up to 10 times faster). This information comes form this link. There are different severities if Psoriasis. In this photo you can see that there are smaller bumps, and there are also large, scaly areas as well. 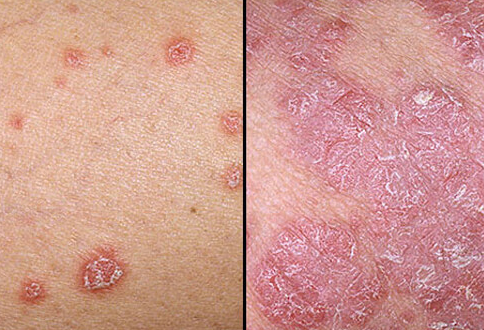 Psoriasis begins as a small, scaly papule. Over time, as shown in the picture, the become large, scaling plaques. Link to information. 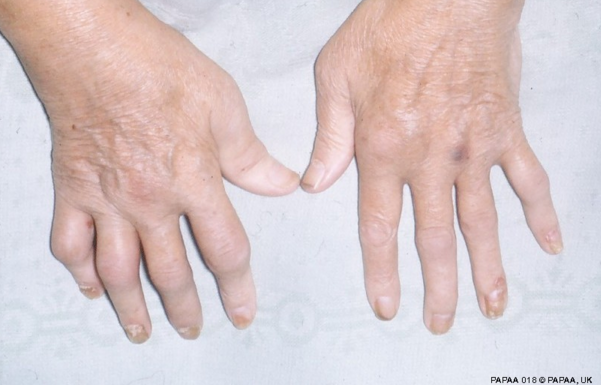 This photo shows Psoriatic Arthritis. This is one type of Psoriasis. There are 5 different types of Psoriasis. There is Plaque (the most common), Guttate, Inverse, Pustular, and Erythrodermic. 1. Psoriasis affects almost 3% of the World's population. 2. Psoriasis may be physically painful. Inflamed lesions can crack open and bleed. Itching can be a severe problem. 3. There are many treatments, but for some people none of them work. They are not universal for everyone.